We have been changing a lot of things at pillar over the past few weeks… Here are a few of the changes that we have made. We are revamping children’s ministry – My lovely wife has a boatload of plans for the children’s ministry and she has been unfolding those over the past several weeks. HERE are some of the changes she is making. We hired a new Associate Pastor, Bryan is focusing on student ministry but also helping our church plants establish student ministries that are effective. We brought on a ministry assistant, bobby. Bobby is a 19 year old guy that God has called to plant a church. He is going to work with us as he finishes school then head out to plant a church. We remodeled our offices in our sponsoring church and made room for Bryan and Bobby. Keilan, who has been serving as a ministry assistant and co-worship leader for the past year moved to Richmond to work with Alethiea. We revamped our weekly creative planning meeting. 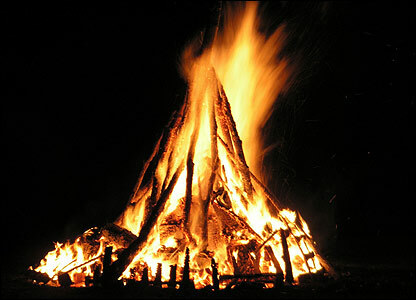 Planned a Christmas Bonfire in our community. We are doing it a the “Old Mine Ranch” a ranch just outside of our community. We are re-ordering our worship service, placing most of the music and the Lord’s Supper at the end of the service. We are also bringing children above 2 back into with their parents to blend torward a family integrated service. so is the pic a possible new logo for pillar? no… just a pic we use sometimes for our graphics… now i’m thinking we need a new one… thanks Becky!